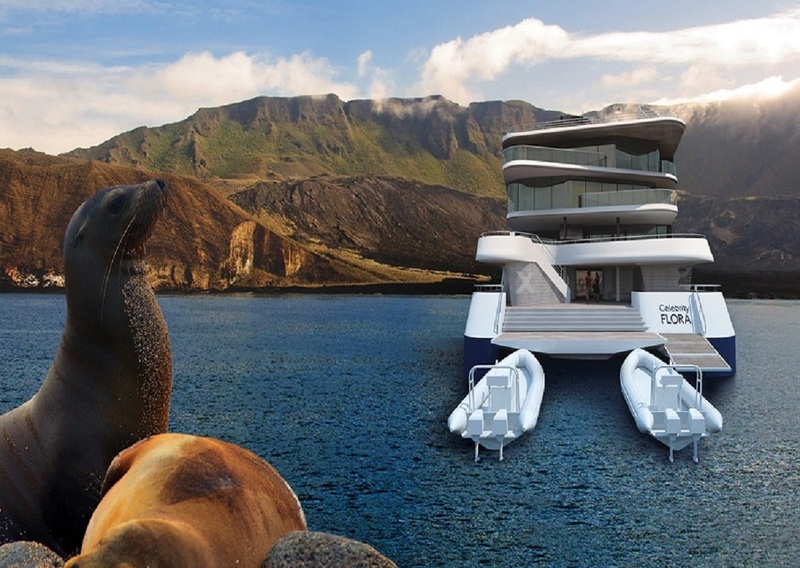 Celebrity Cruises unveils another stunning revolution in ship design: Celebrity Flora is an elevated and inspired approach to marine exploration, meticulously designed expressly for the awe-inspiring Galapagos Islands. One of the most energy-efficient ships of its size in the diverse archipelago, the 100-guest Celebrity Flora will offer seamless sea-to-shore transportation, and includes anchorless technology that maintains the ship’s position while protecting the sensitive sea floor. Innovative outward-facing design gives guests 360-degree views of the islands, while personal suite attendants, new dining venues, an open-air stargazing platform, and expert-lead ecological seminars will round out the modern luxury vacation experience. The natural beauty of the islands, the diversity and uniqueness of the species that it harbors earned this archipelago the reputation of being a living laboratory of evolutionary processes still in progress. The region made room for the development of a large number of flora and fauna that do not exist anywhere else in the world, making the Galapagos a very unique place of global importance for the common heritage of humanity. Featuring Celebrity’s signature outward-facing design, Celebrity Flora virtually erases boundaries and brings this typically remote destination closer to guests. Educational, research-based programming gives travelers an opportunity to continue learning about the wildlife-rich Galapagos Islands.